ChuangWei Electronic Equipment Manufactory has two main processing and assembly workshop, the first floor mainly place the advanced production and processing equipment. 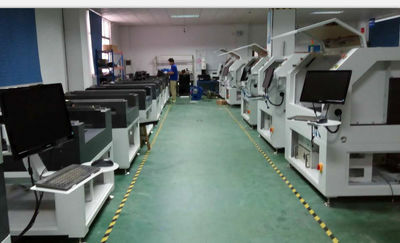 The second floor is mainly for assembling and testing the finished machines.The whole processing and assembly workshop floor area is about 1200 square meters. 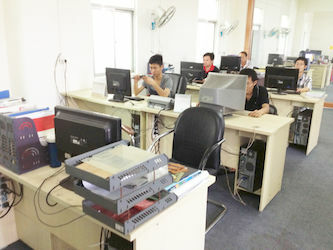 R&D team is much experienced in PCB separators and other SMT machines, to manufacture better machines. Each engineer has more than 6 years experience, so we are able to provide support on customized machines, maintenance, engineering design and machine development. Purchasing team selects experienced suppliers to purchase row material and main parts to ensure high quality. Inspect all the raw materials and return back the defective material after inspection. All the semi-products we used are good enough to ensure stable quality. Replying on our own management and fast flexible production pattern, we are able to control 200 sets standard machines per month. With our comprehensive inspection methods, our quality control covers the raw material, main parts, frame painting and so on. 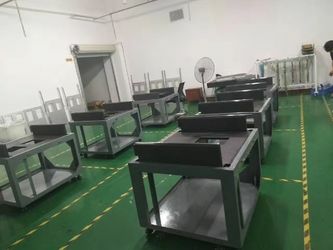 Our experienced QA team is able to control quality whatever during production, or before shipment, to guarantee that our customer wil only receive quality, but not trouble. 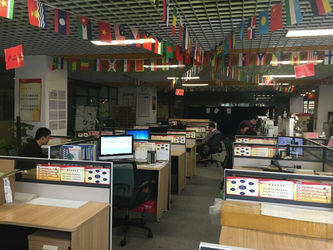 Responsible for all inquiries from oversea customers within 24 hours. And do their best to cooperate with customers on their requirements on the best solutions. ChuangWei has a complete supply system for the spare parts, which can guarantee the company's damand of product accessories. We have stocked the common parts in the major cooeration point world widely, which can shorten the supply time largely. Besides, we could connect with customers online to offer technical support if offline support is not enough. We can receive non-standard machinery design and manufacture as our about 10 years industry experience. Welcome sending us your equipment requirements and we will quickly respond the solutions back. 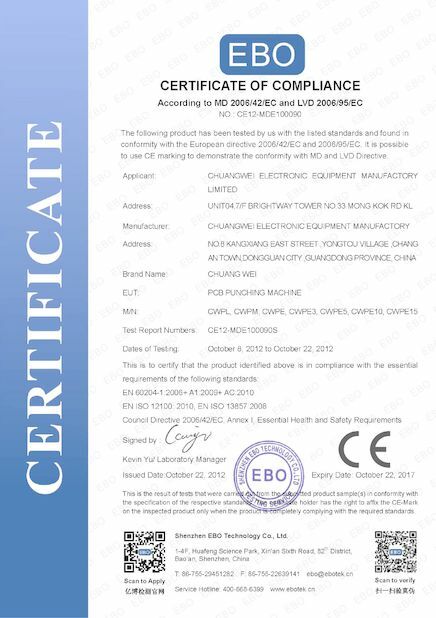 Dongguan ChuangWei Electronic Equipment Manufactory R&D deparment is responsible for developing the new type pcb separator & pcb depanelizer machine and improving the current machine in service. 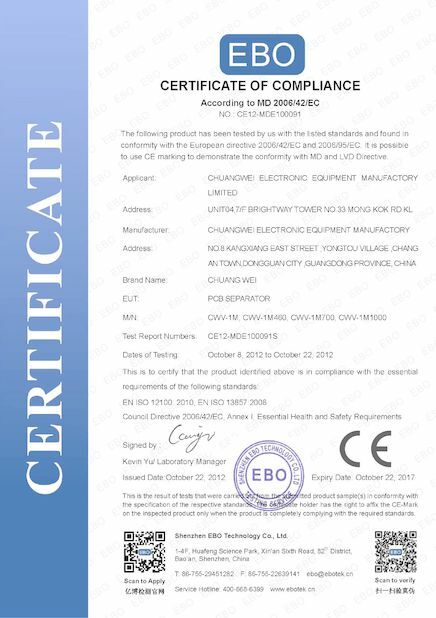 According to the actual production requirement of the customer to design non-standard machinery. Half of the R&D team members are more than ten years experience in machinery research and development design.